A quick introduction to how you can get up and running with Microsoft Azure â€“ It is a hands-on guide into creating a silverlight application that uses a REST api to manage SQL data in the cloud. I am writing an inventorizer application. The idea is to keep track of my movies and to know where in my house they are supposed to be. This way, I know where to put a stray movie, as well as check that all movies that are supposed to be in a specific shelf actually are there. Later, I will extend the application to access my movie list from mobile devices, so itâ€™s going to require a REST api right from the start. Iâ€™ve explicitly given the entities the prefix â€œDbâ€ in order to separate the objects from my C# domain objects. 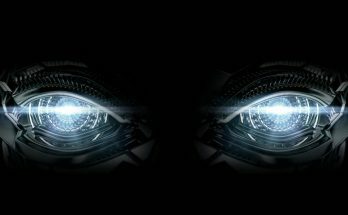 Automapper does the conversion for me â€“ pretty straightforward. I keep my domain objects clean, and clear of the Sql Server, as you should too. 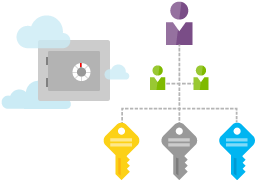 To work with SQL Azure, you need to have a valid Azure account and you also need to have created a database for the purpose. 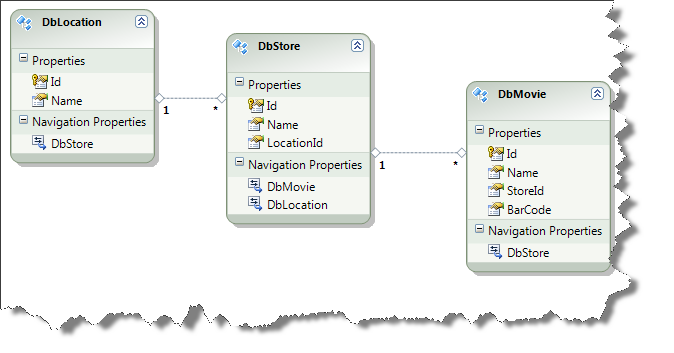 I wonâ€™t go into the details of the database creation process; basically, you follow a database creation wizard that does what you expect it to. The connection string does not have your password in it. Youâ€™ll have to edit that in after you put it in your settings file. If you need help in pushing your model to Azure SQL, just drop me a line, and Iâ€™ll help you out. In order to implement REST and use WebGet and such, you need to include a reference to System.ServiceModel.Web. Make sure in your project properties that youâ€™ve selected the full .Net Framework 4.0 and not the .Net Framework 4.0 Client profile as your target framework, or System.ServiceModel.Web wonâ€™t be visible for you to reference. 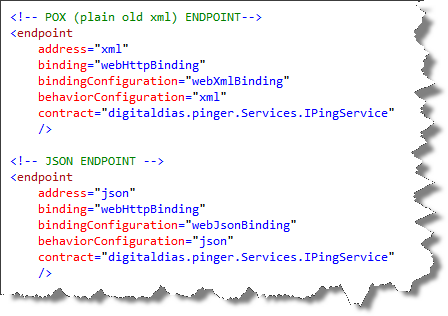 To roll out a successful REST service that serves both POX (plain old xml) and JSON data, I had to actually create two different binding configurations even though theyâ€™re equal in configuration. 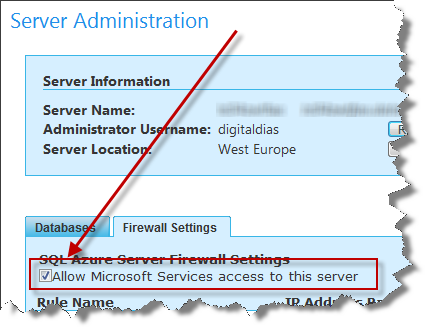 Since we are hosting this in Azure, we do not specify any addresses. Notice the relative address, since Iâ€™m hositing the Silverlight client from the same location as the service, I use the relative address to avoid cross-domain issues. This took me some time to figure out. 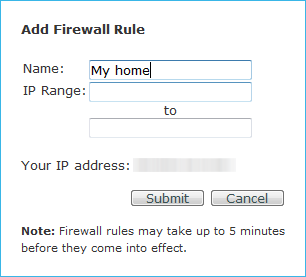 I usually start out with a basicHttpBinding and then swap over to TCP/IP once everything is up and ok. If you need more details on how to write a silverlight client, just drop me a message. 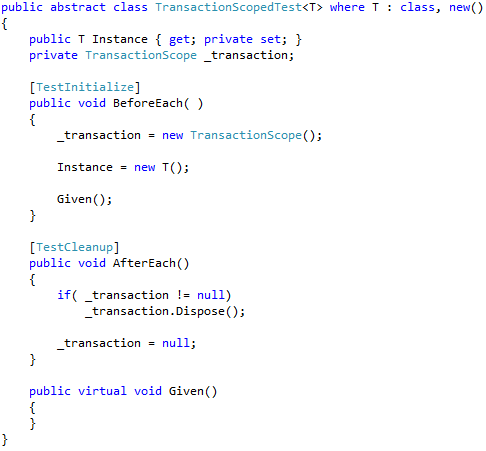 The base class basically implements the TestInitialize and TestCleanup methods to begin a transaction before each test, and roll it back (Dispose()) after each test has run. 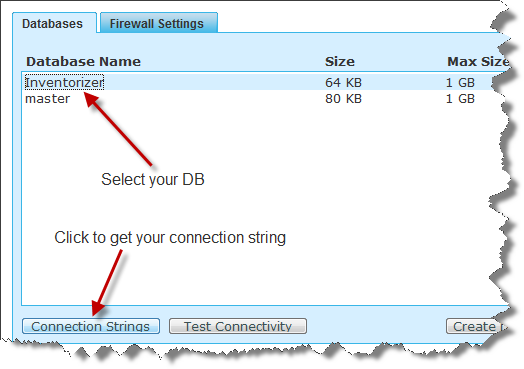 Any test that throws an exception will then automatically roll back the database. If you use the TestInitialize or TestCleanup in a base class, your derived test class wonâ€™t be able to use those attributes. This is why I added the virtual Given() function so that I can do my test setup there, should I need to. 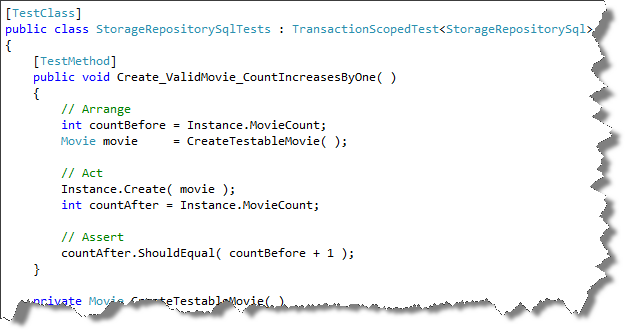 The testclass above creates an instance of the class StorageRepositorySql and the test that is run is then packaged inside a transaction scope and rolled back so to not disturb my SQL server data. If you want more details on the base class, just let me know. Running these tests is surprisingly fast, on my 2Mbit internet line, most of my tests run for less than 50ms each, which is pretty amazing, considering the transactions and that Iâ€™m in Norway while the Azure store probably is in Ireland! Microsoft promises that â€œgoing Azureâ€ should be pretty straightforward, and not much different from what youâ€™re already used to. I tend to agree, it has been surprisingly easy to get something up there and running. Most of the challenges were actually in configuring the REST endpoints and figuring out how to allow the WCF services to access the SQL database, but other than that, the rest is straightforward. Previous Article Watt’s a dog?